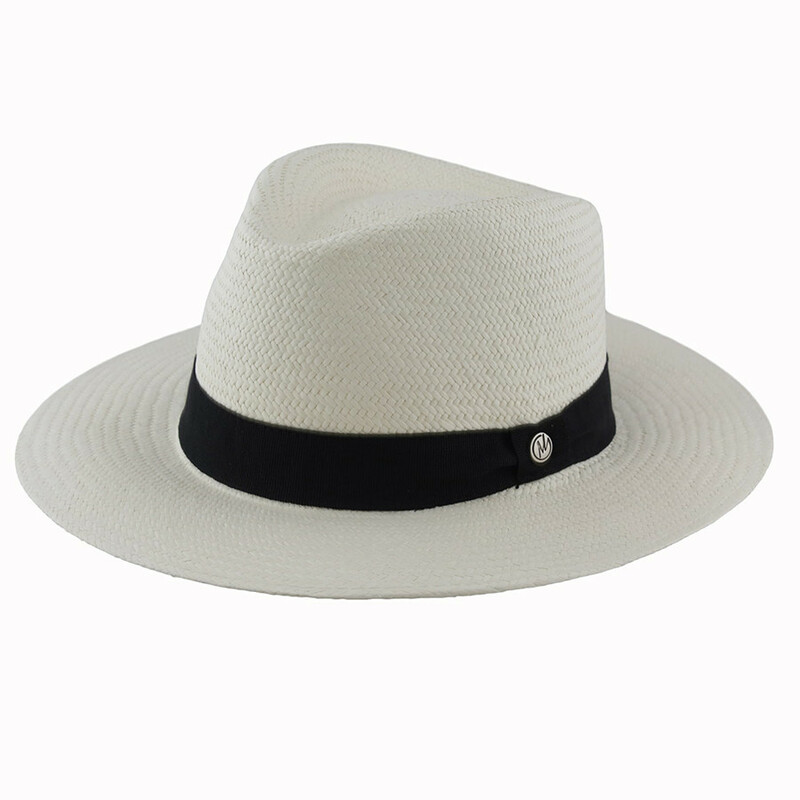 Timeless, this hat is always the essential for walks in the city as on the sea! Very popular in the 1990's, the Panama hat remains the elegant hat of the summer. This model made in Itlay, 100% straw, in white colour has a large headband outside in black fabric.